According to the World Health Organisation, probiotics (Live bacteria) are ‘living microorganisms which when administered in adequate amounts confer a health benefit on the host’. They are ‘friendly’ bacteria that live in the gut and have a positive influence on many aspects of human health. Probiotic bacteria help us to maintain the balance of bacteria within the gut and digest foods properly. It may also be important in non-allergy related food intolerance reactions due to improved digestion and better absorption of nutrients. Highly potent - Especially our popular 75 Billion BioAcidophilus Forte Plus® capsule and 130 billion Replete Intensive powder sachets. Effective – The LAB4 live bacteria complex has been used in a wide range of well-designed clinical trials. Pure – Our Live bacteria range is dairy-free, vegetarian and vegan (with the exception of Baby BioFlora) and contains minimal additives in product manufacture. Safe and Stable – Our human strain probiotics are completely safe, acid resistant, and with proven ability to adhere to the gut wall. 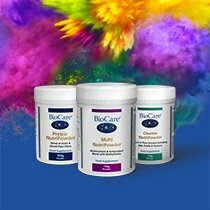 Flexible – We have a range of low, medium and optimum dose products both in capsule and powder form. The exceptional stability of our probiotic supplements also means that the stated potency is correct right up to the end of the shelf life. In many of our products we use the unique LAB4 complex of bacteria which consists of 2 specific strains of Lactobacillus acidophilus with Bifidobacterium bifidum and Bifidobacterium lactis. LAB4 strains are native to the human digestive tract, acid-stable, and readily adhere to the intestinal walls. 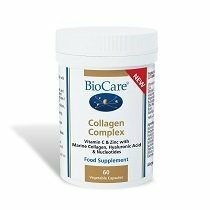 They have been tested extensively and have proven clinical efficacy. We also use other well-researched strains when clinically required, such as Lactobacillus salivarius and Lactobacillus rhamnosus GG and Lactobacillus Lactis. 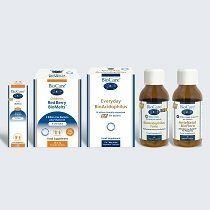 Our live bacteria supplements are beneficial for adults and children alike, with special formulas designed for children, and many also suitable for use during pregnancy, having been specifically tested for safety. Our new Children’s Red Berry BioMelts with lactobacillus rhamnosus GG and Lactobacillus Lactis and Vitamin D provides the perfect Immune solution for Children being a melt on the tongue red berry powder, and crucially free from artificial colours and flavours. Browse our full range below where you can find all the live bacteria options you need for you and your entire family! If you’d like more information about live bacteria, please explore our Advice section or get in touch with our helpful team.